Inspired by real bloodstains and from detailed research comes a refreshingly different historical romance between a god-fearing woman and a known murderer. Though twenty-five years his junior, Lettice Catesby believed she knew all there was to know about her husband’s violent past. Both she and God had long ago forgiven him. So why now, on his deathbed, was Nicholas Brome demanding not to be laid to rest but to be buried standing up within the church door of St. James at Baddesley Clinton, to be trodden on and scorned by all who entered? Fifteenth century power struggles between Yorkists and Lancastrians reached deep into rural Warwickshire, tearing through its tapestry of moated manor houses, woodlands and wayside flowers with family feuds and the deadly consequences of ambition. The wheel of Fortune turned fast and misplaced loyalties could bring down even the highest in the land. Of all the lords of the manor at this time, Nicholas Brome was perhaps the most notorious. Physically strong, passionate, proud, and driven by an unwavering desire for justice, his actions as a young man led him to plead to both the King and the Pope for pardon. 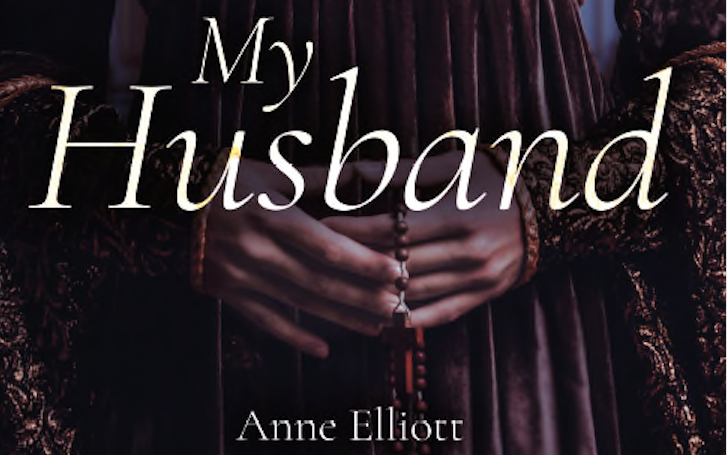 Through Lettice’s quest to find salvation for her husband, Anne Elliott weaves a tale of murder and deceit that tests the limits of love.